The sleepyhead sleep positioner is available in two sizes 0-8 months and a grand version which is suitable from 8-36months. 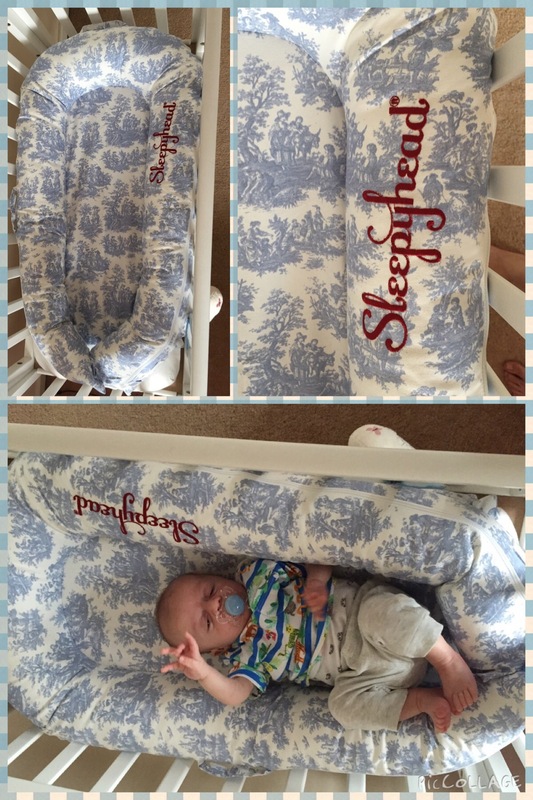 Here Is the sleepyhead bed guard in the 0-8 months version with the Toile de Jouy cover on it which costs an additional £42.50, again available from John Lewis. The sleepyhead is a patented award-winning Swedish design and innovation ( fully EU and U.S. Tested an approved) with plenty of exchangeable covers manufactured in Europe. The sleepyhead is hygienic,it is anti dust mite and anti fungal with antibacterial properties.The sleepyhead is designed with child safety at its core shown in its design which includes a child safe buckle opening to create extra leg room to accomodate your forever growing child; it also includes a removable airflow mattress and bumper that is fully washable, durable and lightweight. Now, from a mother of twos perspective this is most definitely high up on my list of holy grail baby items. I never had this with my eldest and boy I wish that I did. 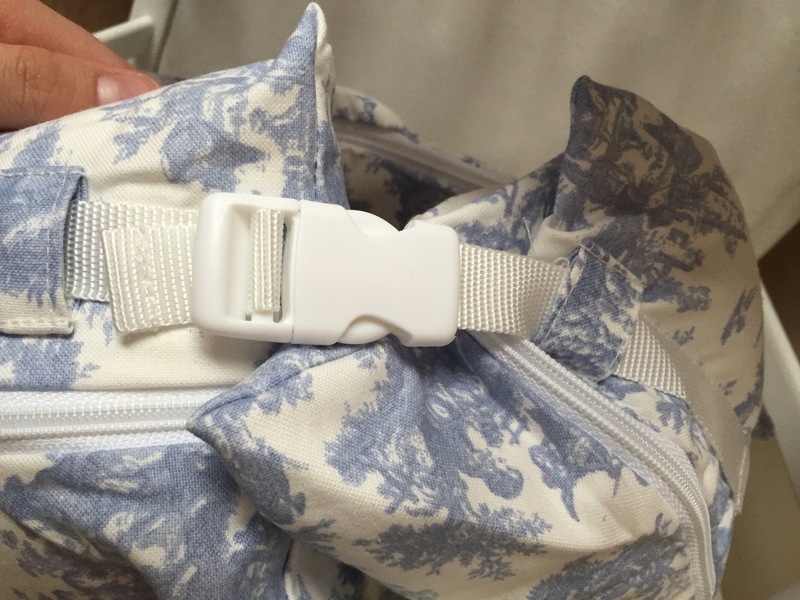 My youngest being born at 5lbs needed the security of the womb and I find this product does exactly that to keep him cuddled up and feeling secure. I can say without a doubt that it improved his sleeping habits from the first night that we used this as he would self startle and wake himself up. What I also love about this product is that it’s incredibly portable, with its side carry handle it is easily transported from room to room, making it a perfect sleeping aid to take with us wherever we go whether it’s a night at my parents or a night away, I can feel completely safe with co sleeping with him when he is in his sleepyhead needing to state that it is placed on top of the duvet and in the middle of the bed. Yes I do think that the price is a little steep but when you compare this to similar products they either don’t last as long or are not suitable for overnight sleeping. I hope this helps out any parents who are currently struggling with a startling clingy newborn or a parent to be planning your baby essentials.